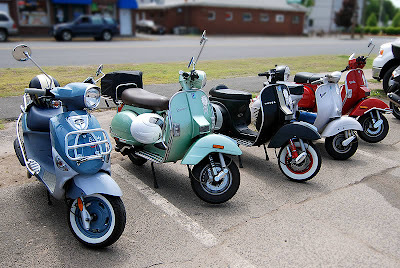 Scooter Centrale / Vespa Hartford is a dealer located 30 miles north of New Haven. 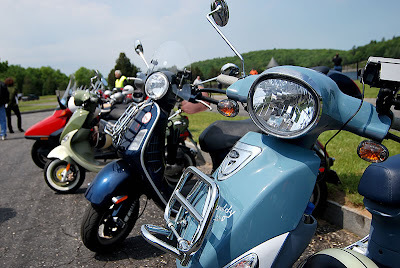 Today they were having an open house day which included a small scooter rally to start the season off. 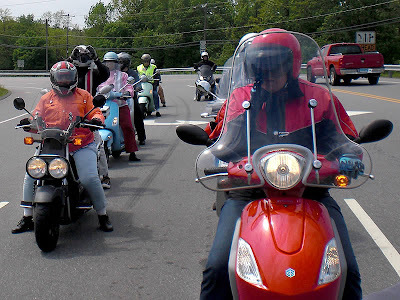 There were about 30 bikes that turned up for the rally which took us north towards Massachusetts. 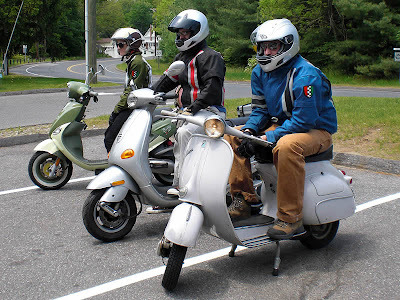 We went as far as Barkhamsted Reservoir and had perfect weather for the ride. Afterwards we headed back to the store for a bar-b-q lunch. Overall it was a 100 mile ride on Buddy today.